That's according to Roethlisberger, who said as much during what the Altoona Mirror called his "first-ever speaking engagement" Saturday night. 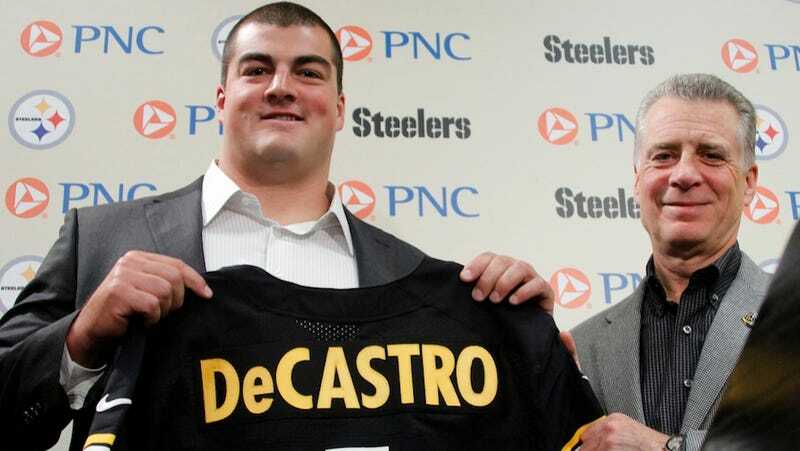 Roethlisberger said when he called David DeCastro shortly after Pittsburgh took the Stanford guard with the 24th overall selection, DeCastro began asking him about his "flight plans." Roethlisberger said after a few seconds, DeCastro realized who he was talking to. "I can't wait once we get started to get on him about that,'' Roethlisberger joked.